Zygomatic implants are dental implants placed to restore missing upper teeth in patients with insufficient upper jaw bone for ordinary implants. It is strictly a specialist procedure. 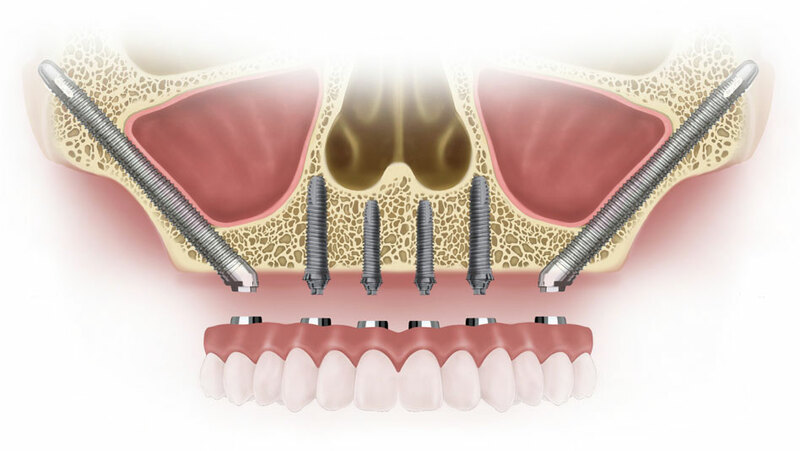 Long zygomatic implants are anchored into the cheekbone or zygoma instead, without the need for bone grafting with ordinary upper jaw bone implants. This approach makes it possible to carry out surgery in just one stage. Just like All-on-4 protocol, cheek bone implants can be restored with 1-3 days of the surgery. Procedure is carried out under General Anaesthetic by an Oral & Maxillofacial Surgeon. Call us today on 0395570957 to find out if zygomatic dental implants may be the right answer for you!